I have it too, although my touchpad is working. I’m still looking on internet for a solution, keep you updated. Me too. The touchpad is working except scrolling. 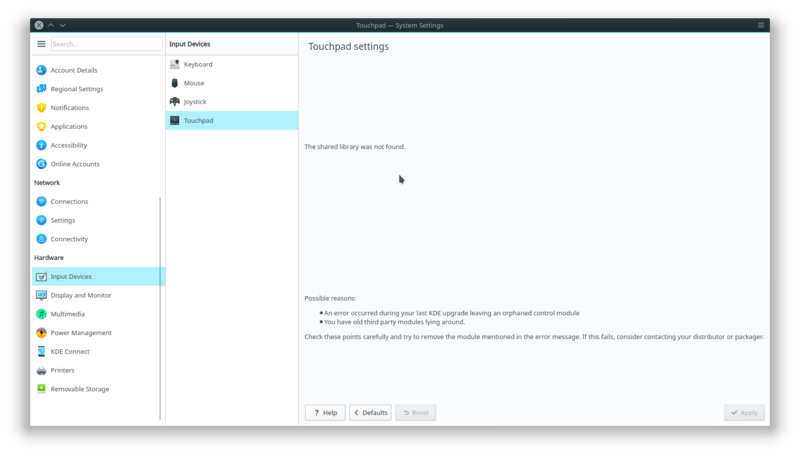 Can someone start that Touchpad System Settings program from konsole? That might give more info which library is missing. Error loading plugin: "The shared library was not found." Seems that these updates fixed issue. Thanks @voepew the update solved the issue.